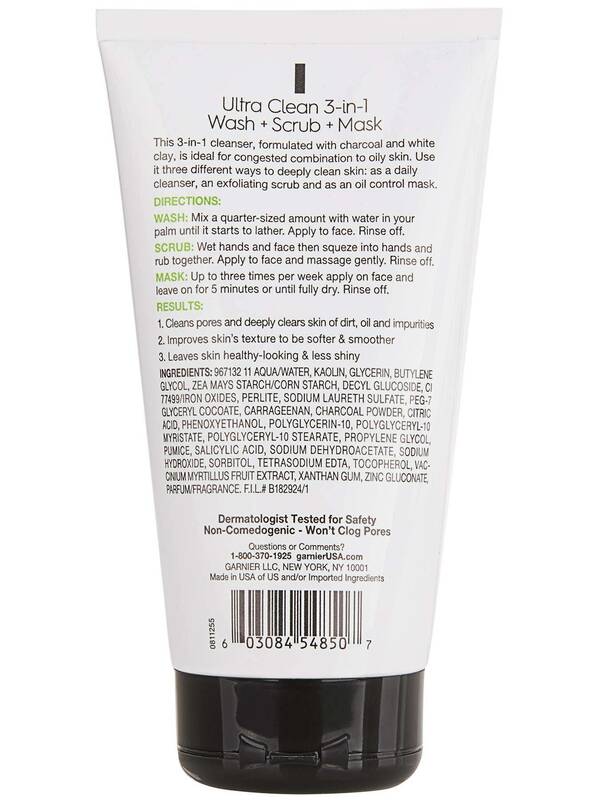 This charcoal mask and facial scrub deep cleans pores for smooth and soft skin. Rated 4 out of 5 by VA_804 from Mask is great! I had never used this product before but I do like it. It makes your skin so soft after using it any of the 3 ways you can use it for. My teenage daughters like it as well. Rated 5 out of 5 by sp_091 from Excited and shocked too Garnier Skinactive Ultra Clean 3-in-1 with Charcoal is an innovative face wash. This product can be use in 3 different ways. It saves time and money also. I was very much excited to see the results and it does what it says. Just apply it accordingly and you will get the benefits from this. My friend suggested me and now I am very much thankful to him. Rated 3 out of 5 by jenni_mi_21809413 from 3 in 1 Face Mask, Scrub and Cleanser Ultra Clean 3 in 1 Face Wash, Scrub and Mask with Charcoal by Garnier SkinActive, is an interesting product. While it does the job of all three however, I found my skin feeling a little dried out. My daughter on the other hand, swears by the stuff. Rated 5 out of 5 by jenny_ny_21808782 from Great cleanser This is the perfect yet simple face scrub for everyday use. 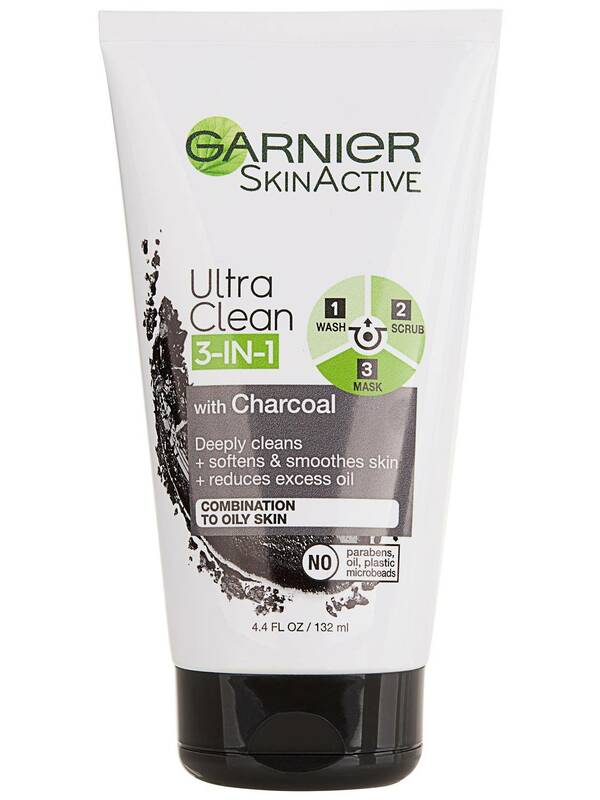 The “Garnier SkinActive, "Ultra Clean 3 in 1 Face Wash, Scrub and Mask with Charcoal" does its job. This is reasonable price at the drugstore and dies t hurt your wallet. Will recommend! Rated 3 out of 5 by becca_ky_21809797 from Garnish skinactive I received a granite skinactive product to try. It was the ultra clean 3 in 1 face wash scrub and mask with charcoal. It left a nice tingly sensation when using the product and left my face feeling overall smooth. However, after using this product it worsened my acne. Rated 5 out of 5 by megan_or_21807009 from 3-in-1 I love that this mask has three uses. A normal face wash- good for daily use. A scrub- good for a couple of times a week. A mask- good for once a week use. You buy one product and get all three! Yes!